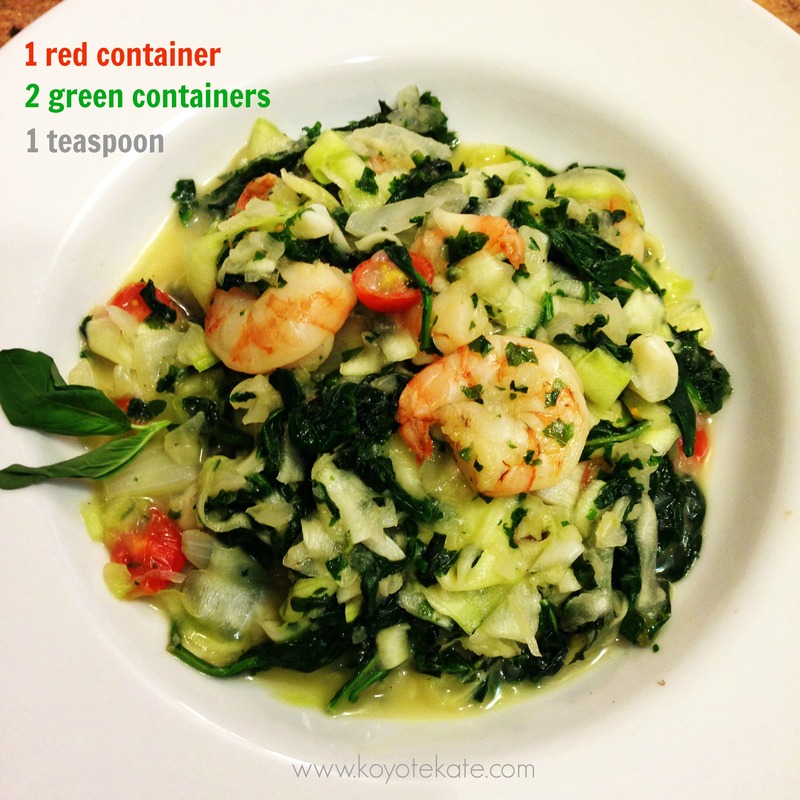 We have an awesome neighborhood restaurant Padavan’s that serves a Paleo shrimp and spinach zoodle dish. It’s my standard order and I wanted to make it at home for my whole family. This is a very close to the original and so very healthy! Using a peeler, discard the top layer of the zucchini and then peel into zoodles (zucchini noodles). Set aside. Heat the coconut oil in a large pan and sauté the onion and garlic for about 5 minutes. Add the prawns and sauté until pink (about another 5 minutes). Add the spinach and kale. Cook until wilted. Stir in the tomatoes, basil and zoodles and heat until warm. Makes 4 servings. This entry was posted in Food and tagged 21 day fix, kale, paleo, spinach, zoodles, zucchini noodles on March 3, 2014 by koyotekate1. 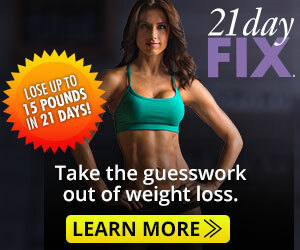 This looks delicious, but how do you determine serving size for the 21 day fix? Do you measure out in the 1 red; 2 green ? I estimated it based on the number of servings produced by the recipe.